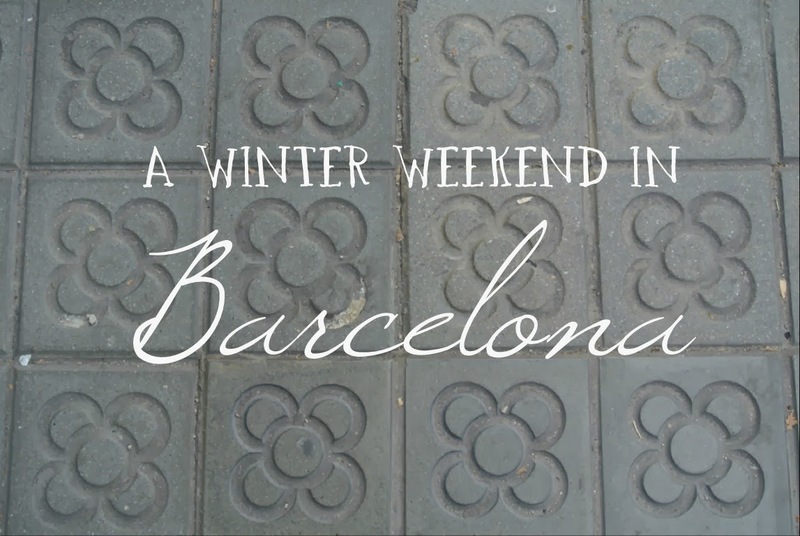 We have just come back from a little weekend away in Barcelona, Spain. It was most likely, our last break abroad as a family of 3 as flying restrictions while pregnant will stop me soon. It was not our first time in Barcelona, but we still love that city as much as the first time. 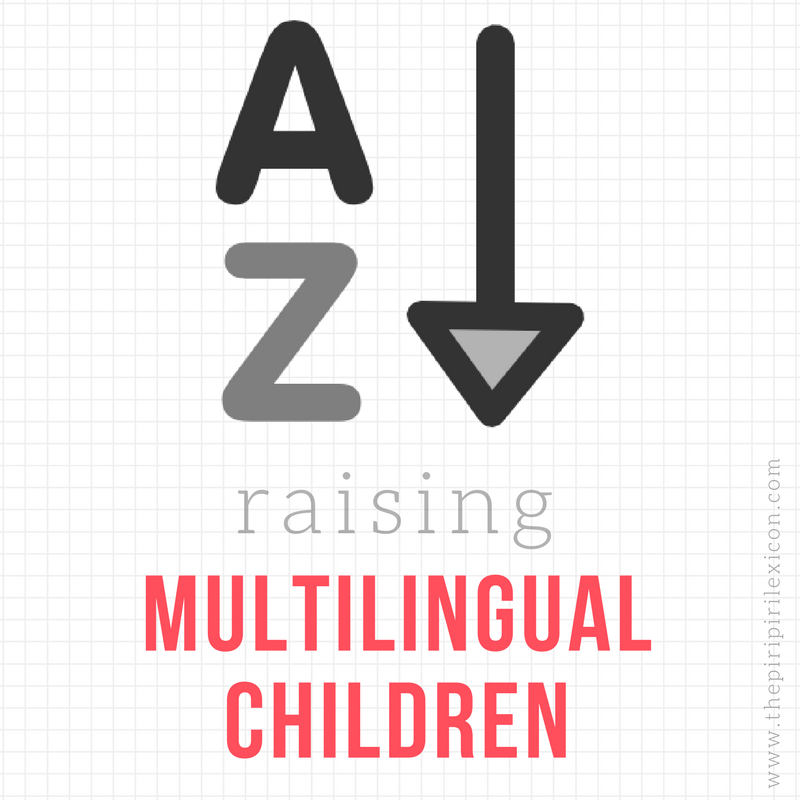 I first went there as a student learning Spanish and have been several times since. LJ also spent her first holiday abroad nearby with our extended family. So we have lots of memories there. 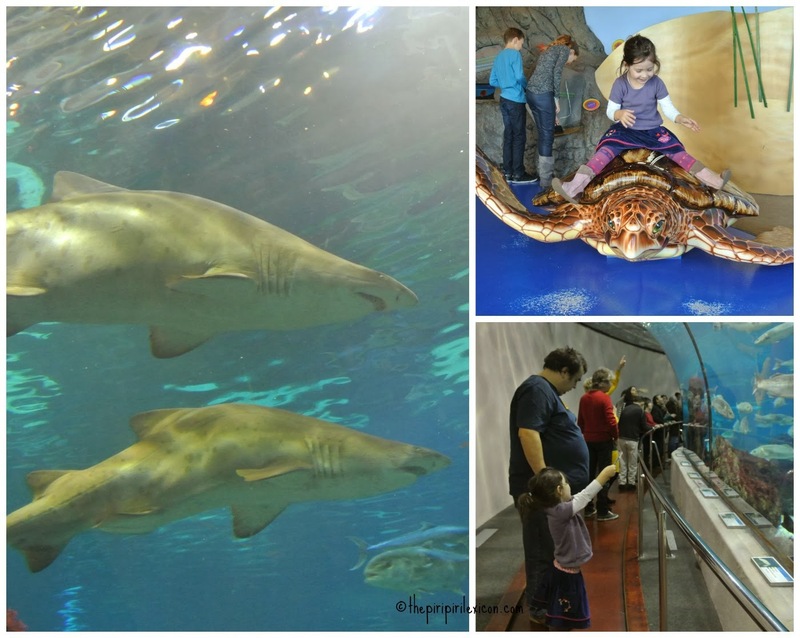 Instead of boring you with a detailed itinerary, I thought I'd list a few things worth doing there with children (or not). This time, we rented a little flat as we find it much easier with a small child. She can run around, we can eat, sleep and go out whenever it suits us. We rented a Black and White Home through Booking.com. They offer all sizes of studios and flats for a decent price all around the city. Our flat had two bedrooms and was perfect. It was located in the Born area of the city. A very trendy and up and coming area, apparently. It was clean. It had everything necessary for a short stay. The checking-in was very helpful. We were provided with a list of recommendations too. Just across the street was a huge park (Parc de la Ciutadella). I really highly recommend it. Is it a market? Is it a restaurant? At first sight you could be mistaken for thinking it was a market stall selling fish. But when you spot the tables, you can see it is a very casual, popular and busy restaurant. if you like fish and seafood, this is the place for you. You pick what ingredients you like and they cook it for you there and then. It is very informal, fresh and delicious. We would have gone everyday had I not been pregnant!! 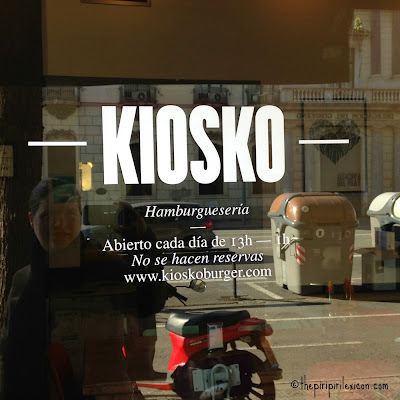 We found Kiosko by chance as everytime we walked past there was a long queue outside. It is a simple burger bar that makes 'gourmet' custom burgers. And they were delicious for the same price as the fast food chains. My only slight doubt is about the meat. I would have loved to know what it was and where it came from as it didn't seem to be freshly made. But my cravings for hearty comfy food were more than fulfilled there. 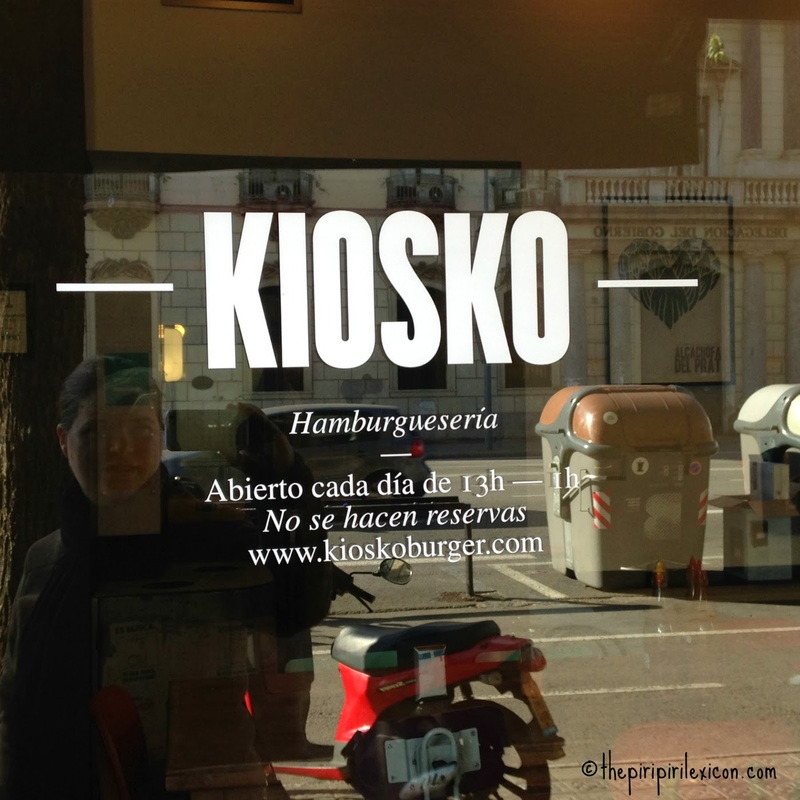 In the Barceloneta area, an institution with a long waiting time! 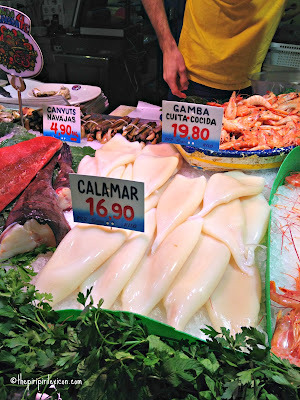 It is a legend of Barcelona where apparently many celebrities have eaten. It is a brasserie style restaurant with very traditional décor and food. We had a paella, of course, which was delicious (as were the sweets). The price is a little on the expensive side but if you are looking for a treat, this is it. Of course, you have to go and see the Sagrada Familia, the Ramblas, Gaudi's crazy architecture and so on. But for a 3 year old, these are not the most exiciting things to do. Here are a few more ideas. The zoo was literaly just across the road from our accommodation and so we could not avoid a visit. It had been recommended by others and we thought we'd give it a go. The entrance fee is a little hefty (some €20 for adults and €10 for a young child). Yet, we were not disappointed. It is really large, shady (not that it matters in winter) and very pleasant to walk around in. They have lots of animals who appear to be well treated and looked after. They have a lot of species from South America. LJ loved the birds from the film Rio: blue macaw, toucans, etc. 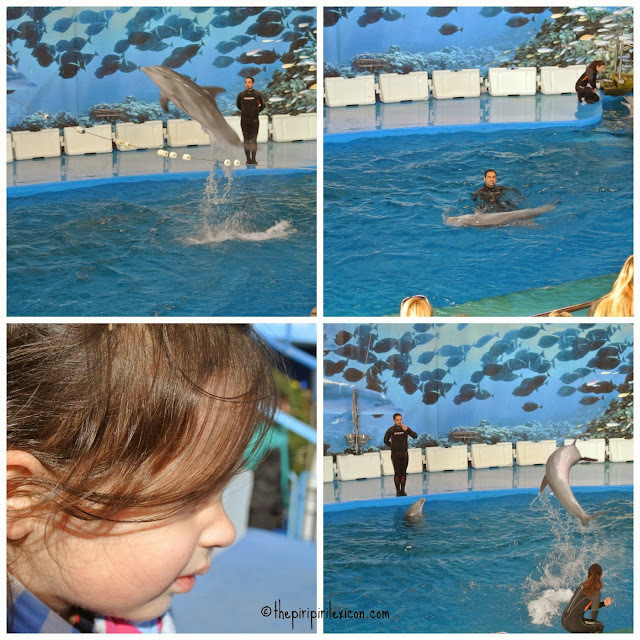 But the highlight for her was the dolphin show (included in the ticket price). Shows like these are not something very common in Europe and she had never seen dolphins. She was a little reluctant at first, thinking they were like sharks. But the queueing was worth it. Her little face lit up at their first jump out of the water. And she stayed captivated by the whole thing for the duration (30 min) clapping and laughing in the right places. The commentary (in Catalan, Spanish or English) was educative. The zoo is, in itself, a whole day out. Highly recommended. We are big fans of aquariums as P and LJ love them. We have seen many around the world. So we could not miss that one. It is located in the port just at the end of the famous Ramblas. The prices are similar to that of the zoo (except the children's prices vary according to height) so it worked out cheaper for us. I am told the Mediterranean section if the largest in the world. The aquarium in itself is not huge and you go around it fairly quickly. The highlight of it is the shark tunnel. LJ liked the aquarium but I thought it was a little disappointing for the price. Yes, the sharks are great and you can see them above your head as well as in front of you, but we have seen better/bigger aquariums for a similar price (e.g. Lisbon). There is only so much time you can spend in front of a tank when you are 3. Finally, our little surprise of the stay was the Born area. We had previously mostly seen the more touristic areas of Barcelona (Montjuic and the Ramblas). But this part of the city is so pleasant and beautiful too. It is really lively. We were there for 3 days and there was an event in the street every time we went out (night concert, traditional dancing, etc). 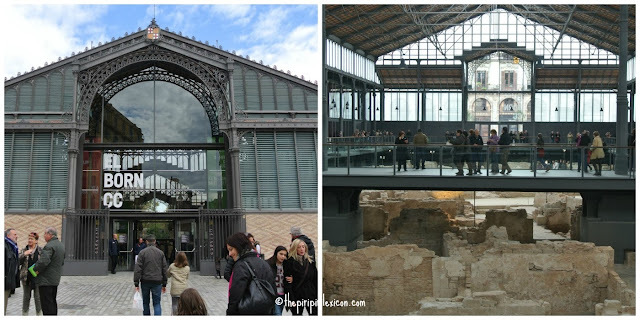 The old food market has been turned into a cultural center where an old part of the city was discovered. 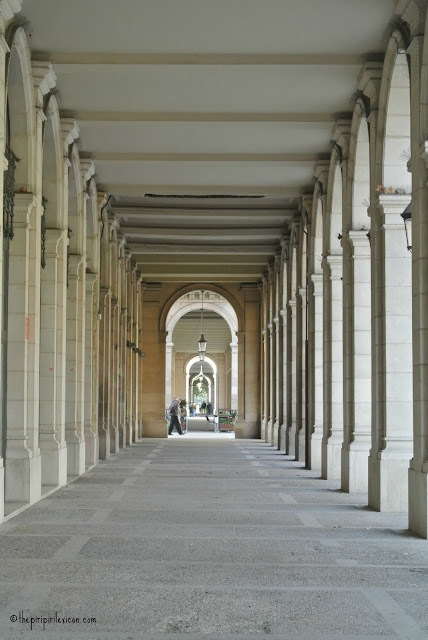 It has been beautifully restored and is worth a look. The area is also full of little shops and restaurants. The park there is also beautiful. A great area to stay and spend a few leisurely walks. We loved it but we are great sea food fans.